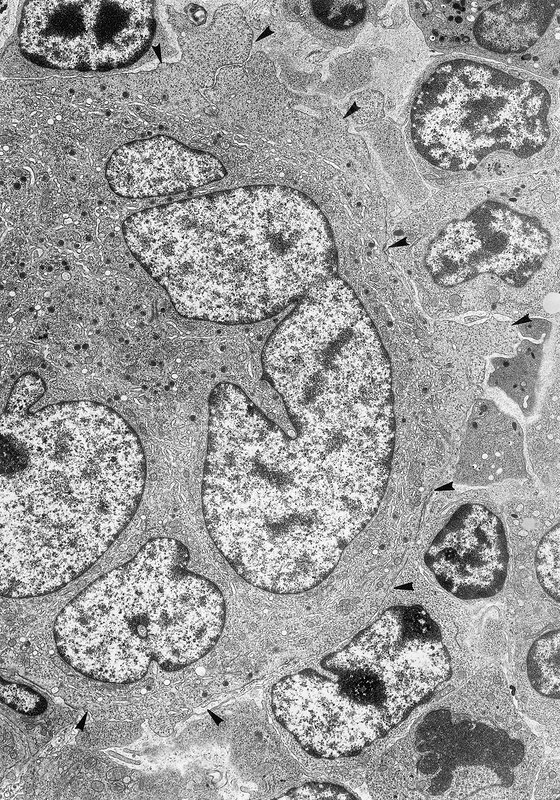 Transmission electron micrograph (TEM) of rat bone marrow including a portion of a megakaryocyte. Arrows indicate the limits of the cell. Its very large size and multilobate nucleus can be compared with the smaller cells at right in the image.